I have been meaning to make this recipe for quite some time. But, it’s never been the “right” time. It was calling to me. I had to make them. If you read the original recipe, which was published by Martha Steward Living you will see that I took a shortcut, because her version makes Pate Brisee, which is the fancy, French way of making Pie Crust. I used pre-made pie dough, which had been sitting in my refrigerator for the past week. Today it called my name. So did my tomatoes and my onions. On a lightly floured surface, roll out pie crust to 1/8”-thick. Cut into 4”-squares. Press each square into the cup of your muffin tin leaving an overhang. Chill for another 30 minutes. Note: I actually cut mine in circles and then created a lattice on top with the leftover pie dough, you can get really creative here. Meanwhile, place tomatoes, onion, thyme and garlic on a rimmed baking sheet. Drizzle with olive oil, balsamic vinegar and season generously with salt and pepper. Roast about 30 minutes or until tomatoes begin to shrivel. Let cool slightly then transfer to a bowl. Using a pair of kitchen scissors chop the mixture down, add the anchovy paste and mix, season with salt and pepper if needed. Divide half the oregano and cheese among the 12 dough lined muffin cups. Top with the roasted tomato mixture. Sprinkle with remaining cheese and oregano. Fold corners of dough towards the center and brush with egg wash.
Reduce oven heat to 375. Bake pies until crusts are golden brown about 50-60 minutes. 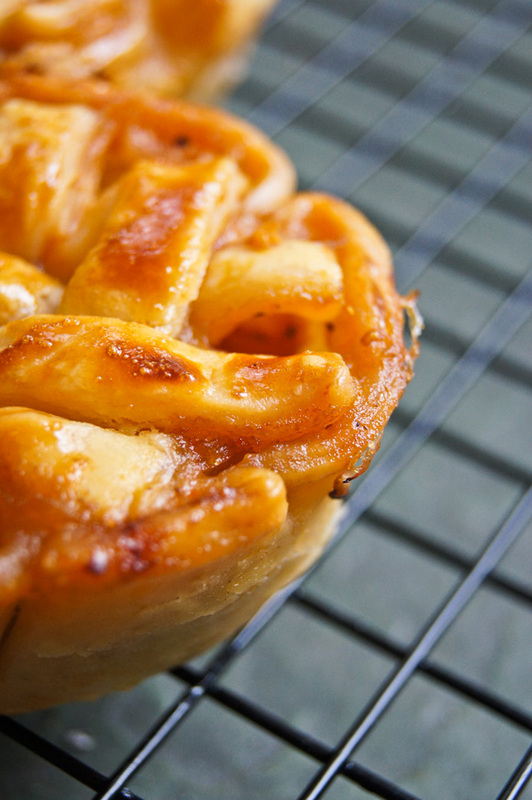 Let pies cool completely in the muffin tin on a wire wrack. 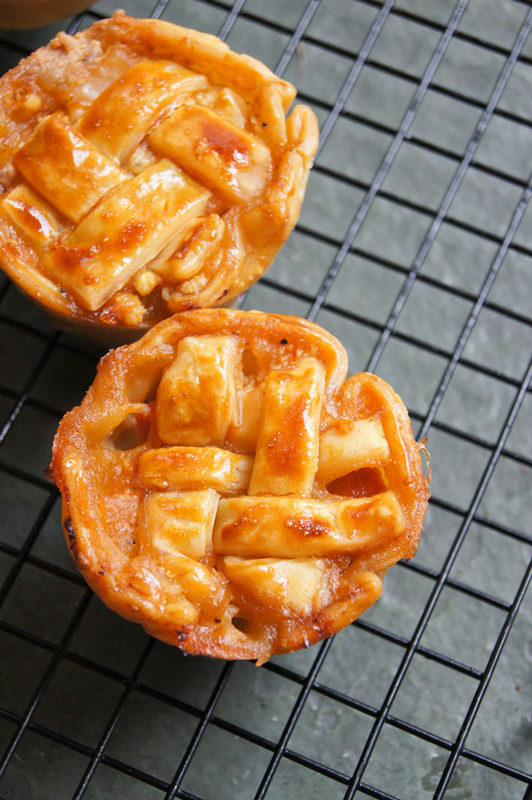 If not eating the same day, pies store well in the muffin tin in the fridge for about 24 hours. Bring to room temperature before serving. Everyone loved them. They are perfect little bite size. And if you do a fancy top, they can be a great side dish to any meal. For next time, I would switch the goat cheese for something else that has good melting power, I’m thinking smoke mozzarella will do well here (I’m usually not a big fan of goat cheese).